You're Invited to UHC's Broker Advisory Meetings! You're invited to UHC’s Broker Advisory Meetings to hear about exciting new plans and programs, gain insights for success, and experience UHC’s Motion Program. CaliforniaChoice announced rate updates for July 1, 2019 effective dates with no changes to plans or benefits. Rates are available for quoting! Enloe Medical Center has agreed to extend its Commercial Hospital contract with Anthem Blue Cross through midnight April 22, 2019. TASC is hosting educational and product demo webinars throughout April, May, and June. Health Net announced rate updates for July 1, 2019 effective dates with no changes to plans or benefits. Rates are available for quoting! HealthConnect will be performing maintenance on the quote engine beginning 7 PM Friday, April 19th, through 5 AM Saturday, April 20th. bpQuote will be unavailable during this time. Discover the long-term benefits of AXA's life and disability insurance coverage through the Allied Benefit Suite. Join B&P's Workers' Compensation Specialist, Patrick Kim, for his Workers' Compensation Boot Camp Webinar Series. Through these four sessions, you'll learn everything you need to know to operate successfully in the workers' compensation market. It’s time to spring into action — earn a $100 gift card for every four new small business workers’ compensation policies bound with EMPLOYERS in the next four months! EaseCentral Ongoing Maintenance on Your B&P Groups! As part of our service commitment to you and your groups, Beere&Purves is now offering ongoing maintenance for your EaseCentral groups. January 1st is almost upon us, here are some important reminders to help you provide the best possible service to your clients this enrollment season. EaseCentral-Anthem Blue Cross API Integration Added to BrokerPicks! Beere&Purves is excited to add the new EaseCentral-Anthem Blue Cross API Integration to BrokerPicks! When you sell a new medical group with Anthem Blue Cross and want to process changes through EaseCentral, elect our EaseCentral-Anthem API BrokerPick and B&P will pay for the integration. Visit our NEW, comprehensive Q1 2019 Resource Library for access to all the Q1 2019 materials you'll need in a single convenient location. Anthem: B&P Field Underwrites on Every Group, Regardless of Size! We underwrite every Anthem Blue Cross group in house, regardless of size! This means your groups get approved quicker and members can access benefits sooner! We've added new documents and features to the Beere&Purves website. Below is a quick summary of what you will see on our medical carrier partner pages. For a limited time, EaseCentral is offering HRIS, their powerful suite of HR tools, for only $2 PEPM. When brokers buy today, they lock in this price and feature set of HRIS forever. January 1st is almost upon us, here are some important reminders to help you provide the best possible service to your clients this enrollment season. ID Cards Members should not use their existing ID card after the new policy's effective date, even if they haven't received their new carrier's ID card. A few Medical reports within the Proposal will start to link to each Carrier's Summary of Benefits. Starting 3/1/19, the links will be added to the three Employee Worksheet reports (New Hire, ACA & regular or pre-ACA). Certain Aetna plans with 1/1/19 – 6/30/19 effective dates listed incorrect benefits for Outpatient Surgery & Non-Preferred Rx. These errors effected benefit summaries, SBCs, and any quotes in bpQuote prior to 2/6/19. HealthConnect will be performing quarterly maintenance on the quote engine on Friday, February 8th, from 6 PM to 9 PM. New Vision Worksheets Now Available! bpQuote has added Vision Worksheets to the Proposal Options sections of the quote engine. The Full Benefits Report has been enhanced in bpQuote to allow the user to "Sort by Current/Renewal" which shows Current and Renewal benefits on the same page. As announced on 12/4/18, CalChoice was required to make changes to their 2019 Oscar benefits per the DMHC. Today, Oscar announced they also were required to make an adjustment. Due to recent changed required by the CA DMHC, Oscar plans available within CaliforniaChoice for 1/1/19-3/31/19 effective dates had to be altered. HealthConnect will be preforming routine maintenance on Friday, November 9, 2018 from 6:00-9:00 PM PST. During this time period, access to bpQuote may be unavailable. For questions, please contact a member of your B&P Sales Team - 888.722.3373. An Anthem Blue Cross PPO plan (available in the Full & Select PPO networks) had an error in HealthConnect on the Emergency Room benefit stating that the plan deductible did not apply. The plans affected are: Anthem Blue Cross Gold PPO 750/20%/6500 and Anthem Blue Cross Gold Select PPO 750/20%/6500. EaseCentral, the leading HR and benefits SaaS platform powered by insurance brokers, has announced an integration with insurance provider The Guardian Life Insurance Company of America®, (Guardian). This March, EaseCentral will become Ease. Register to attend the upcoming webinar, Ease Revamped: A First Look. As 2018 drew to a close, the quarterly Small Business Index published by MetLife and the U.S. Chamber of Commerce dipped slightly, indicating that small business owners may be tempering their optimism a bit heading into the new year. Ricardo Lara took office as California Insurance Commissioner at a ceremony in Sacramento on Monday, January 7, pledging to protect the victims of wildfires and other disasters, defend all Californians from the threat of climate change and insurance scams, and promote innovation and technology. In his first act as California's 40th Governor, Governor Gavin Newsom announced a series of major, first-in-the-nation executive actions and budget proposals to lower prescription drug and health care costs for all California families and move California closer to the goal of health care for all. The CDI issued its first Impact of Prescription Drug Costs on Health Insurance Premiums. The IRS has pushed back the furnishing deadlines for forms 1095-B and 1095-C that are sent to individuals to March 4, 2019. The previous deadline was January 31, 2019. EaseCentral: Save 25% on 1095-B/C Reports! EaseCentral is offering 25% off of pre-purchased ACA Reports for users that have not generated reports using ACA with EaseCentral. CVS's acquisition of Aetna is now official. See Aetna's FAQ for more information on what this acquisition means for brokers and clients. Enloe Medical Center has agreed to extend its Commercial Hospital contract with Anthem Blue Cross through midnight April 15, 2019. Anthem Blue Cross has provided copies of the following letters sent to members, agents and physicians. Anthem Blue Cross is pleased to announce that they have successfully renewed their Commercial Hospital (including Medicare Advantage), HMO and PPO Agreements with Scripps Health, located in San Diego County. Great News! Anthem & Sutter Agree to Multi-Year Contract! Anthem Blue Cross has great news to share! They are pleased to announce that they have successfully renewed their agreements with Sutter Health System after several months of negotiations. Enloe Medical Center has agreed to extend its Commercial Hospital contract with Anthem Blue Cross through midnight March 21, 2019. Enloe Medical Center has agreed to extend its Commercial Hospital contract with Anthem Blue Cross through midnight March 7, 2019. Anthem Blue Cross and Sutter Health Medical Groups have been engaged in contract negotiations for several months to reach agreement on reasonable reimbursement rates and contractual terms that are beneficial to both organizations. Enloe Medical Center has agreed to extend its Commercial Hospital contract with Anthem Blue Cross through midnight February 21, 2019. Enloe Medical Center is in Chico (Butte County). Anthem Blue Cross has an update on their contract negotiations with Sutter Health. ​Aetna announced rate updates for April 1, 2019 effective dates with no changes to plan benefits. Rates are available for quoting! Aetna announced ​plan and rate updates for January 1, 2019 effective dates. Rates are available for quoting! CVS Health and Aetna can go ahead with their about $68 billion deal, the Justice Department said, clearing the way for a merger that will create a healthcare giant with a hand in insurance, prescription-drug benefits and drugstores across the U.S.
Aetna announced a RATE PASS for October 1, 2018 effective dates, with no changes to plan benefits. All rates are available for quoting! Aetna announced rate updates for July 1, 2018 effective dates with no changes to plan benefits. Rates are available for quoting! Aetna updated their Small Group Affordable Care Act (ACA) submission deadlines. Starting with May effective dates, new business submission deadlines for Small Group ACA plans in California are the 20th of the month prior to the effective date for 1st of the month effective dates and the 5th of the month for 15th of the month effective dates. Effective April 1, 2018, Aetna Small Group will no longer sell life products to new business. ​Aetna announced rate updates for April 1, 2018 effective dates with no changes to plan benefits. Rates are available for quoting!RATESMedical: Rate changeDental: Two rate changes Rate change effective 4/1/18-4/30/18Rate change effective 5/1/18-6/30/18Vision: RATE PASSLife: Pending​​BOOK RATESAetna 2018 book rates are provided below and available on the B​&P website. ​​HMO Rate Guide​MC Rate GuideFor questions, please conta​ct a member of your B&P Sales Team - 888. In early April, Anthem will launch an email campaign that automatically converts members to receive their Explanation of Benefits (EOB) and legally required notices in a paperless or electronic format. Enloe Medical Center has agreed to extend its Commercial Hospital contract with Anthem Blue Cross through midnight March 28, 2019. Anthem would like you to know that some of your Small Group clients may have received an incorrect mailing regarding how claims will be processed based on their Medicare Part B eligibility or enrollment. On January 30th, Anthem announced the accelerated launch of IngenioRx, their new pharmacy benefits manager (PBM) and that they would begin transitioning clients in the second quarter of 2019. Many benefits address only one or two benefit categories: saving time, promoting well-being, supporting financially, or providing tax savings. Ultimate Health is a supplemental healthcare reimbursement plan designed to help companies address virtually every benefit category. ArmadaCare: Are Executive Medical Reimbursement Plans Dead? When you talk about an executive medical reimbursement plan, also called expense reimbursed insurance, it’s not rare to get questions like, “Is that still allowed,” or “I thought you couldn’t do that anymore?” Let’s tackle those questions and get to the bottom of it. Ultimate Health by ArmadaCare is a supplemental healthcare reimbursement plan designed to help companies offer a broad range of coverage types that tailor to different life stage needs, a way to get back to 100% coverage levels, a tax-efficient compensation tool, along with health, wellness and travel support services.Ultimate Health is suitable for any size and type of company and can be added onto virtually any company base medical plan at any month of the year. With baseball officially in season, CaliforniaChoice wants to remind you of their own triple play! Increase Revenue with Broker Bonuses! CaliforniaChoice, Covered CA for Small Business, Principal, and UnitedHealthcare all have 2019 bonus programs for specific effective dates. Click on the hyperlinks below each carrier to see the full details and program rules. CalChoice & CCSB Bonuses via Kaiser Enrolled Extended! Kaiser is extending their bonus for Kaiser membership on new groups written through CaliforniaChoice and Covered CA for Small Business that meet certain requirements. CaliforniaChoice announced plan and rate updates for April 1, 2019 effective dates. Rates are available for quoting! CaliforniaChoice offers an online enrollment option for your new CaliforniaChoice groups. In case you missed it, CaliforniaChoice recently made several announcements about some exciting changes. Two 1/1/19 CaliforniaChoice plans added to the quote engine on 10/22/18 showed incorrect benefits. Shown below is a summary of the corrections that were made. Choice Builder makes selling ancillary easy by combining simple underwriting with a wide variety of plan options. Great news! Anthem Blue Cross has made a positive change to their Dental benefits.! Choice Builder announced rate updates for April 1, 2019 effective dates. Rates are available for quoting! Choice Builder announced rate adjustments and minor benefit changes for January 1, 2019 effective dates. All rates are available for quoting! Choice Builder announced a Rate Pass for July 1, 2018 effective dates with no changes to benefits or underwriting. Rates are effective through December 1, 2018. All rates are available for quoting! Choice Builder announced a Rate Pass for April 1, 2018 effective dates with no changes to benefits or underwriting. All rates are available for quoting! RATES ​Dental: RATE PASS Vision: RATE PASS Life: RATE PASS Chiro: RATE PASSAPRIL RATE GUIDEThe Rate Guide will be posted to the ​B&P website as soon as it becomes available. ​Choice Builder announced rate adjustments and minor benefit changes for January 1, 2018 effective dates. All rates are available for quoting!RatesRate changes for Ameritas, Anthem Blue Cross, Delta Dental & MetLife.Plans & BenefitsMetLife Voluntary Silver PPO removed the 12 month waiting period for Major and Ortho services.​​Ameritas Platinum and Gold plans added Dental Implants. ​​Choice Builder announced a Rate Pass and minor benefit changes for October 1, 2017 effective dates. All rates are available for quoting!RATES ​Dental: RATE PASSVision: RATE PASS​Life: RATE PASSChiro: RATE PASSPLANS & BENEFITSVSP:​ Increase to frames allowance on all Employer Sponsored and Voluntary Vision Plans. OCTOBER RATE GUIDE​The rate guide for October 2017 will be posted on the ​B&P website as soon as it's available. Choice Builder announced a Rate Pass for July 1, 2017 effective dates with no changes to benefits or underwriting. Rates are effective through December 1, 2017. All rates are available for quoting!RATES Dental: RATE PASSVision: RATE PASS Life: RATE PASS Chiro: RATE PASSJULY RATE GUIDEThe Rate Guide is available below and on the ​B&P website. ​For questions, please ​contact a member of your B&P Sales Team - 888.722.3373. CCSB is excited to announce their new PayNow function available through the Employer Portal. CCSB Agent Incentive Program Effective 2/1/19 - 6/1/19! Earn even more for offering your clients California’s most comprehensive access to doctors and hospitals offering! Covered California for Small Business announced rate updates for April 1, 2019 effective dates. Rates are available for quoting! Beginning 2/1/19, CCSB will require 51% of a group's employees to reside in a California rating area. Covered California for Small Business announces rates and plans for 2019 with an average premium increase of 4.6%. Become a CCSB Certified Agent! Covered California for Small Business (CCSB) is growing, make sure you are certified to help enroll California small businesses into affordable, high-quality group health insurance plans. Covered CA for Small Business Bonus Program! Covered CA for Small Business has a new incentive program that pays when you sign up new small groups with 6 or more employees from October 1, 2018 to January 1, 2019. We are excited to announce that Beere&Purves has been awarded a General Agent contract for Covered California for Small Business (CCSB) effective September 1, 2018. As your business partner, we continue to make sure you have access to carriers that will help you meet the needs of your clients and their employees, and CCSB does exactly that. Download Your Allied Benefit Suite Tool Kit! The Allied Benefit Suite allows you to offer top rated carriers with simple administration. Download your tool kit today! Delta Dental's new $2,500 maximum is now available in bpQuote along with the AXA Life rates through the Allied Benefit Suite. Delta Dental: 10-99 Broker Bonus! Delta Dental is offering a Broker Bonus for groups with 10-99 enrolled! Earn up to $1,500 per group! Delta Dental announced a RATE PASS for January 1, 2019 effective dates with some changes to plan benefits. Rates are available for quoting! Allied Administrators has updated the Allied Benefit Suite (ABS) Life/AD&D and Disability carrier to AXA from Unum. Allied Administrators has expanded their market-leading benefits by creating the Allied Benefit Suite. Starting July 1, 2018, as part of Delta Dental’s Small Business Program, Allied will begin administering the following benefits in California and expand to additional states throughout the year. Delta Dental has eliminated the restriction on the number of eligible employees allowed to reside out-of-state on their PPO plans. Delta Dental now requires a minimum of two California employees enrolled with groups sitused in California. Effective April 1, 2018, new and current Delta Dental groups can add a new service called the Personal Protection Plan. EyeMed is now available alongside Delta Dental for groups with 2-4 employees! Previously, EyeMed was available alongside Delta Dental for group with 5 or more employees.​For questions, please ​contact a member of your B&P Sales Team - 888.722.3373. Recent changes to California law (SB189) will require the following attention. EMPLOYERS is now writing workers' compensation insurance in Louisiana. In addition to competitive rates and effective services, appointed agents also have access to instant online quoting through EACCESS ®— EMPLOYERS' online quoting system. EACCESS provides the ability to quickly and easily submit and quote new business (including multi-state policies) in numerous, targeted class codes. Earn a $100 gift card* for every 3 new small business workers' compensation policies bound with EMPLOYERS.​​Small business is defined as below $25,000 estimated annual premium Incentive period includes new policies bound December 1, 2017 - January 31, 2018 Earn up to a maximum of $400​Login to ​EACCESS for a full list of small business classes and start quoting today! *This promotion is only offered to select licensed and appointed EMPLOYERS agencies. Workers' Comp Executive​November 30, 2017California employers – be they insured or self-insured – will be paying more to fund the state’s workers’ comp system next year. Insured employers will be paying nearly 4% of premium – a 28% overall increase for assessments over 2017 – while the rate for self-insured employers is up nearly 17%. Most policy management problems, including coverage and premium audit issues, arise from discrepancies related to how Named Insureds are listed on policies. A Named Insured is a legal entity that EMPLOYERS® has agreed to cover and has been endorsed onto a policy. To help avoid problems, it is important that at the time of application, you confirm the following for each Named Insured: ​The accurate legal entity name is listed on the application (the legal entity name would be the name used in the execution of official business documents, such as IRS filings and business licenses. ​Premium audits are required by the insurance carrier and are typically routine and relatively quick. At the end of your annual policy period, a final premium audit is conducted to determine if you paid the appropriate amount for your workers' compensation insurance based on your actual payroll, operations and job classifications. ​What are the benefits of using the Off-Site Transitional Duty Program? ​Reduces lost time days. Non-profit placement within 24 hours (on average) of receiving an approved job description or list of restrictions from the employee’s physician. Electronic timecard tracking with 24/7/365 accessibility for the employer, claims handler and case manager. Structured return-to-work process with meaningful and productive work. Workers’ compensation insurance is an important safety net that protects your business and employees in case of an on-the-job illness or injury. However, you might not be aware of some additional resources your insurance carrier may provide to help you maintain a safe workplace, save money and get more value out of your policy. ​As of November 1, 2016, Integrated MediComp's combined billing feature with Anthem's small group health coverage was discontinued. New customers participating in Integrated MediComp will now receive an invoice directly from EMPLOYERS for their workers' compensation insurance coverage and will have their choice of four convenient direct bill payment options: ​100% payment in full 10% down payment and 11 monthly installment payments 30% down payment and three quarterly installment payments ​PrecisePay® (pay-as-you-go) system requires a minimum premium threshold of $2,500 Please note that existing Integrated MediComp participants will need to select one of the above payment options at renewal. Guardian has announced rate and underwriting adjustments for January 1, 2019 effective dates with no benefit changes. Rates are available for quoting! Guardian has announced rate adjustments for January 1, 2018 effective dates with no changes to benefits or underwriting. Rates are available for quoting! ​​RATES Average Increase: <1%CONTRACT UPDATEB&P can now write groups up to 99 lives! Groups will fewer than 51 employees can continue to be quoted in bpQuote. For groups of 51-99, please ​contact a member of your B&P Sales Team. ​Beere&Purves' can now write groups up to 99 lives with Guardian Life Insurance Company!For questions, please ​contact a member of your B&P Sales Team - 888.722.3373. Guardian Awarded Life Insurance Brand of the Year by Harris Poll’s 2017 EquiTrend Survey​Business Wire​June 15, 2017NEW YORK - The Guardian Life Insurance Company of America (Guardian), one of the nation’s largest mutual life insurers and a leading provider of employee benefits, has been recognized as Brand of the Year in the Life Insurance category, according to The Harris Poll® EquiTrend Study, which reveals the strongest brands across industries based on consumer response. 2020 Women on Boards RecognitionFor 2016, Guardian has been named a Winning “W” Company, ​2020 Women on Boards’ highest award. This honor is given to companies that champion diversity by having 20 percent or more of their board seats held by women. 2020 Women on Boards is a national campaign working to increase the percentage of women who serve on company boards to 20 percent or more by the year 2020. ​Plans & BenefitsGuardian plans are available for groups with 2-49 employees. Dental plans are available for quoting in bpQuote. Please ​contact a member of your B&P Sales Team for quotes with additional lines of coverage and discounts.DentalOne of the largest dental networks nationwide with ​360,800+ total locationsNo waiting period for groups with 5+ employeesImplants for groups with 2+ employees​Maximum Rollover on all plansVision​ Flexible copay and frequency optionsTwo provider networks VSP: 58,000 access pointsDavis Vision: 44,000 access points​Life & DisabilityOffer big company benefits to small business clients including the following Guaranteed Issue* amounts for groups under 10 employees:​2-4 Employees Life: $50,000 STD: $1,500 per week LTD: $2,500 per month 5-9 Employees Life: $100,000 STD: $1,500 per week LTD: $6,000 per month​Groups with 10-49 Employees can receive other generous Guaranteed Issue amounts. ​​Download PDF.For questions, please ​contact a member of your B&P Sales Team - 888.722.3373. What is an Employee's Benefits IQ? Workers Overestimate Their Employee Benefits IQ. How Big of a Problem is That? Working Americans don’t understand their employee benefits as well as they think. Guardian asked a variety of true/false questions about group insurance products and terminology. While IQ results varied, the average grade of C clearly indicates a need for more effective education and benefits enrollment support. The Guardian Life Insurance Company of America® (Guardian), a leading provider of employee benefits, announced it is working with Maxwell Health (Maxwell) to launch Guardian BenefitsCenter, a multi-carrier, proprietary platform that provides brokers and their clients with a comprehensive end-to-end operating system for delivering employee health and financial security benefits.“The launch of Guardian BenefitsCenter is another example of how Guardian is at the forefront of the workplace benefits market,” said Dong Ahn, Executive Vice President, Group and Worksite Markets at Guardian. Health Net Extends Bonus Program Through November! Health Net's $100 per member bonus program available through November! You still have time to take advantage of Health Net's most recent underwriting deals! Health Net is mailing Form 1095-B between February 11, 2019 and February 15, 2019, for the 2018 tax year. Health Net announced rate updates for April 1, 2019 effective dates. Rates are available for quoting! Health Net's CommunityCare HMO network provides lower costs, a wide range of care options and more flexibility for specialist care. Health Net Extends Bonus Program through January 2019! Health Net's $100 per member bonus has been extended through January 2019! Brokers can still earn bonuses in Q4 2018. Health Net is excited to announce the expansion of Teladoc into their 2019 group coverage! Health Net announced plan and rate updated for January 1, 2019 effective dates. Rates are available for quoting! Health Net announced plan and rate updates for October 1, 2018 effective dates. All plans are available for quoting. ​At some point, virtually everyone will need to deal with a legal issue. With important legal implications associated with many common life events, an affordable legal services plan is a natural and valued fit for your clients – especially those small business clients looking to add more to their benefits program without added cost. Driving small business success through benefits​For questions, please ​contact a member of your B&P Sales Team - 888.722.3373. ​It's no joke or secret that for small business owners cost is a key driver in most decision making. When trying to balance many financial obligations adding insurance programs can be a tough sell. MetLife's insightful white paper can help you warm the door by sharing real life examples of small businesses that added benefits to their offerings and how they did it. Accounting for two-thirds of new jobs and generating more than half the nation's economic output1, there's nothing small about small business.The MetLife & U.S. Chamber of Commerce Small Business Index takes the pulse of this critical segment within the workforce to gauge its outlook on economic and societal trends, resulting in a quarterly Index score. ​The Power of Legal Plans for Small Business Benefits Programs At some point, virtually everyone will need to deal with a legal issue. There are important legal implications associated with many common life events. An affordable legal services plan is a natural and valued fit for your clients – especially those small business clients looking to add more to their benefits program without added cost. ​Welcome to a new age of benefits Working doesn't look like it used to. Demographic shifts and changing employee expectations are creating new challenges – and opportunities – for today's employers. MetLife's 15th Annual U.S. Employee Benefit Trends Study focuses on the rapidly transforming workforce and ways employers can adapt their benefits strategies to address diverse needs and succeed in meeting top benefit objectives. ​Plans & Benefits Dental​Dental 2-99 employeesMost popular plans in bpQuoteCustom plans available through B&P SpecialistCalendar Year Maximums up to $2,500, $3,000 and $5,000Orthodontia down to 5 enrolled (with prior coverage)Broker Bonus for groups with 50-99 eligible​Vision​Life​Disability ​Simply Smart Bundles MetLife ​Simply Smart Bundles bring together Dental, Vision, Life and Disability options based on local market needs and pricing demands of businesses with 10-99 employees. Introducing Benefit Bundles Tailored to Compete in Your MarketSimple. MetLife Simply Smart Bundles bring together Dental, Vision, Life and Disability options based on local market needs and pricing demands of businesses with 10-99 employees. MetLife's plan options provide flexibility to recommend the right plan for each client.Smart. Exclusive value-adds provide differentiators that can help close sales and strengthen client relationships. ​For questions, please contact a member of your b&p Sales Team - 888.722.3373. Increase your earning potential by working with Principal. Place new business and retain business with Principal, and you may be eligible for their group benefit bonus programs. Help your clients keep their employees happy by offering a benefit of an additional 20% of their earnings through Principal's enhanced short-term disability insurance. Principal quotes can be obtained through your B&P Sales Team for the most competitive rates for Dental, Vision, Life, STD, LTD, Accident, and Critical Illness.Principal’s rates are no longer available in bpQuote as of January 8, 2018.For questions, or to request a quote, please ​contact a member of your B&P Sales Team - 888. ​We are excited to announce the addition of Principal to the Beere&Purves portfolio effective immediately. As your business partner, we continue to make sure you have access to carriers that will help you meet the needs of your clients and their employees, and Principal does exactly that.Principal offers:Dental standalone for groups of 3+ livesVision, Life, STD and LTD standalone for groups of 5+ lives Voluntary Accident and Critical Illness for groups with 5 enrolled or 10% participation, whichever is greater5% discount on dental, life, STD and LTD if 3 or more lines are selectedDental highlights:Point of Service Plan (POS) for California Contracts Strong national network with 113,000+ dentists, California alone has:8,356 EPO dentists19,108 PPO dentistsChild orthodontia down to 3 lives, adult orthodontia available for 25+ livesRefreshed annual maximum at takeoverVision highlights:VSP Choice provider networkProvide ID cardsConsolidated billing with other Principal productsLife/AD&D highlights:Flat or multiples of salaryAbility to class outExpanded definition of owner compensation; salary plus net income averaged over 2 yearsSTD highlights:70% benefit availableOptional benefit of 20% up to $1,000 not coordinated with SDI availableOwn job descriptionLTD highlights:Expanded definition of owner compensation; salary plus net income averaged over 2 yearsNo mandatory rehabilitationSpecialty contract for attorneys and physiciansRates are available for dental, vision and life in bpQuote. UHC: Start-ups Require Only 2 Weeks of Payroll Effective 4/1/19! UHC is adjusting their start-up guidelines on payroll which will make them more competitive in the market. UHC New Sales Bonus! Effective 2/1/19 - 1/1/20! UnitedHealthcare is offering a bonus to agents in California who sell new medical plans with effective dates from February 1, 2019 through January 1, 2020. Eligible cases are new fully insured Small Group and Key Account groups located in California that have at least 10 enrolled employees and effective dates from February 1, 2019 through January 1, 2020. UHC announced plan and rate updates for April 1, 2019 effective dates. Rates are available for quoting! UHC 5% Dental Rate Cap through 6/1/19! Groups adding new dental coverage are eligible for a 5% second year rate cap when they add a plan by June 1, 2019! UHC is making it even easier to sell dental with their updated and improved Dental Simplified 2.0! UnitedHealthcare announced that three of their 1/1/19 Medical plans (available across multiple networks) had some benefit errors. Shown below is a summary of the corrections made. VSP has announced a Rate Pass through December 31, 2019, with no changes to plan benefits or underwriting. When your employees create an account on vsp.com, they'll get the most out of their VSP benefit and be eligible to win a $5,000 shopping spree. Now through January 31, eligible VSP® Vision Care members get an extra $40 to spend on bebe, Cole Haan, Flexon®, and Salvatore Ferragamo frames. VSP has a new EasyOptions package for groups enrolling 50 or more employees that allows each employee to select a covered upgrade after they receive their prescription from their VSP network doctor. Now through August 31, eligible VSP® Vision Care members get an extra $40 to spend on Anne Klein, CALVIN KLEIN and Dragon® frames. Once again, VSP Vision Care is raising the bar as the only vision care company to offer fully-covered standard progressive lenses—included as part of the VSP Choice, Signature, or VSP Individual Vision Plans. Be the hero! Let your employees know that now through December 31, eligible VSP® members get an extra $40 to spend on bebe®, Calvin Klein, Columbia, Dragon®, and Flexon® frames. No extra paperwork, no hassle, just incredible frames. Maximize your employees’ benefits by sharing the news.Share the ​coupon.For questions, please ​contact a member of your B&P Sales Team - 888. VSP has announced a Rate Pass through December 31, 2018, with no changes to plan benefits or underwriting. Rates are available for quoting!RATESChoice Plans: ​Non-voluntary: RATE PASSVoluntary: RATE PASSSignature Plans: ​Non-voluntary: RATE PASSVoluntary:​ RATE PASSBOOK RATESThe January 1, 2018 book rates for VSP are provided below and available on the B&P website. ​5-99 Choice Rate Guide (3-tier)​5-99 Choice Rate Guide (4-tier)​5-99 Signature Rate Guide (3-tier)​5-99 Signature Rate Guide (4-tier)For questions, please ​contact a member of your B&P Sales Team - 888. ​MARCHON EYEWEAR, INC. AND CALVIN KLEIN, INC. ANNOUNCE RENEWAL OF EXCLUSIVE LONGTERM GLOBAL EYEWEAR LICENSING AGREEMENT​MELVILLE, NY + NEW YORK, NY, SEPTEMBER 29, 2017 – Marchon Eyewear, Inc., one of the world’s leading manufacturers and distributors of quality eyewear and sunwear, and Calvin Klein, Inc., the global lifestyle brand and wholly owned subsidiary of PVH Corp.
As a VSP Vision Care member, you have access to great eye doctors, eyewear, and the affordable care you deserve. VSP wants to be sure you get the most out of your vision benefit! We know vision care naturally comes with some questions; here are five popular questions asked by VSP members: ​Where’s all of my benefit information? 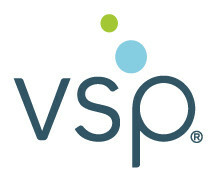 Your personalized benefit information and eligible services is just clicks away on vsp.